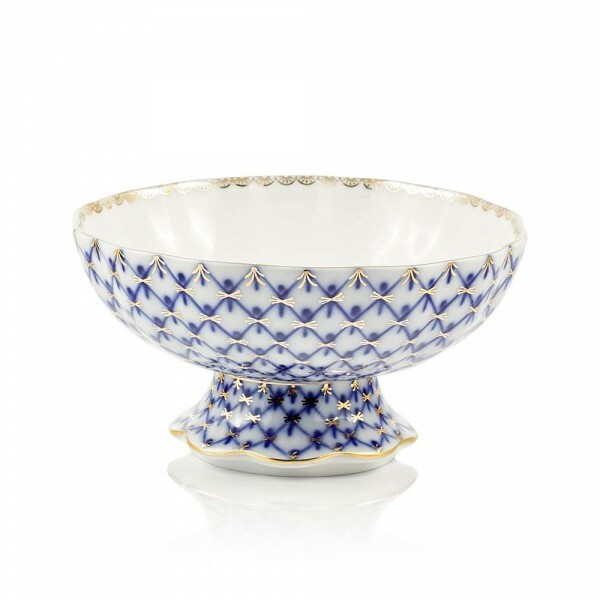 Home » Tableware » Miscellaneous » Bonbon Dish "Tulip"
The classic form and cobalt net decoration make this bonbon dish "Tulip" the pride of the Imperial Porcelain Factory. Share the delightful sense of satisfaction by adding this masterpiece to your collection. The unique Cobalt Net against milk-white porcelain is recognized the world over as the hallmark pattern of the Imperial Porcelain Factory. The designer Anna Yatskevich created this pattern more than half a century ago, using the design from the Empress Elizabeth’s Own Service from the 1750s. The splendid original service was created for the Empress by the famous Russian porcelain artist Dmitry Vinogradov. 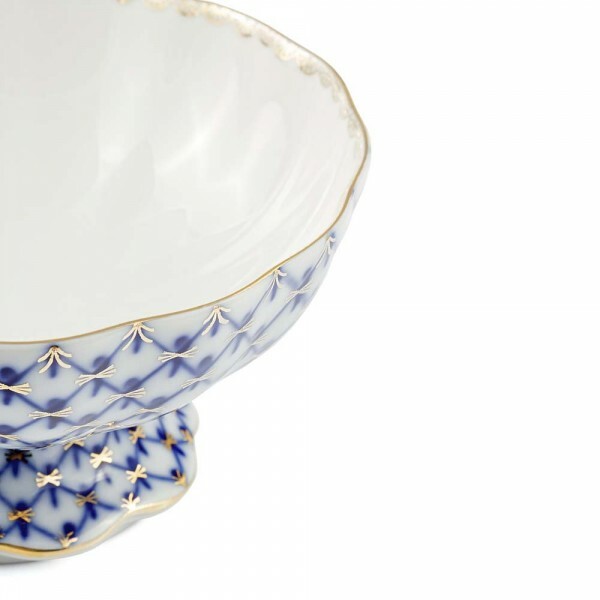 Russian porcelain has long been appreciated for its fineness, elegance, lightness and resonance. The services that were made for the imperial families later passed to the Hermitage collection.